LASIK Price Singapore – wondering about LASIK prices? Let us break it down for you. In Singapore, LASIK prices generally range from $3,000+ to $16,000+ (for both eyes). Generally, the price variations in LASIK across clinics can be attributed to the following factors. You may have heard that the LASIK process is mostly done by machines. Hence, results have little to do with a surgeon’s skill. However, that is untrue. A skilled doctor is able to utilize his or her experience and surgical techniques to minimize surgical risks. Some of these risks include dry eyes, halos, glares, over-correction, under-correction, infection, or blindness. More often than not, LASIK price tends to vary according to a surgeon’s experience. Dr Lee Hung Ming was formerly the Head of LASIK in TTSH and NUH. To date, he has done close to 20,000+ procedures. Over the years, technological advancements have continuously changed the LASIK industry. To illustrate, flap creation was done manually in the early stages. The surgeon would use a microkeratome blade to carve the corneal flap by hand. These days, an IntraLase laser is able to create precise flaps. Not surprisingly, a high-tech laser machine costs more than a microkeratome blade. In general, advanced technology results in better quality LASIK, but at a higher cost. Before going for LASIK, do some research on the methods available in the market. Some of the newer treatments include iLASIK and ReLex SMILE. 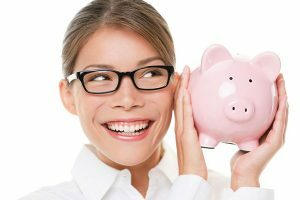 What is a good LASIK price? Generally, LASIK prices can range from hundreds to thousands of dollars in difference. Whilst price variations may seem steep initially, bear in mind that the treatment results are long-term. Good vision is priceless. Rather than deciding solely based on price, it is important to find a LASIK provider that you feel comfortable with. At Lee Hung Ming Eye Centre, we strive to provide high quality service at reasonable cost. Our prices are generally mid-range, with LASIK starting from$3724.67. This price is for bot eyes, inclusive of GST.